Aldo Group, the Montreal-based shoe store company, is the buyer of 635-639 Lincoln Road purchased on Friday, according to a deed recorded in Miami-Dade County. The retail building traded for $35 million, amid escalating demand for properties along the pedestrian promenade. Aldo Group, based at 2300 Rue Emile-Belanger in Montreal, bought the 5,332-square-foot building built in 1935 for a whopping $6,560 per square foot. Current tenants include a jewelry store, Claudia N.; and a shoe store called the Shoe Shop. Led by Aldo Bensadoun, the Aldo Group has more than 1,800 stores in 90 countries, according to the group’s website. In Miami Beach, Aldo operates a shop at 815 Lincoln Road, as well as one at 751 Collins Avenue. 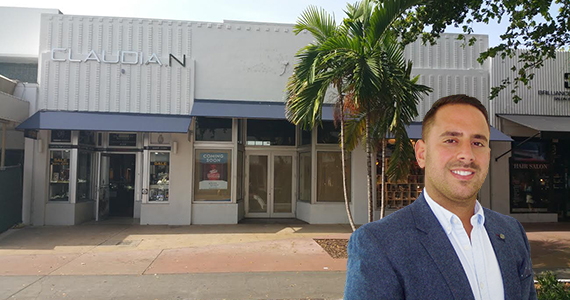 Ness Ohayon, co-founder of WITT Realty Group out of Keller Williams Miami represented the buyer in the off-market deal first reported by The Real Deal on Friday. Ohayon said it has been in the works for about four months. The seller was Camelot of Miami LLC, based in Saint Johns, Florida, Miami-Dade property records show. Attorney Phillip Buhler of Switzerland, Florida, is the authorized managing member, according to records. James Lloyd represented the seller. Investors have been targeting Lincoln Road in recent months, particularly since Spanish billionaire Amancio Ortega, whose fashion empire includes Zara, bought an entire block in September. Michael Comras and Jonathan Fryd sold the properties, 1001-1035 Lincoln Road, for a staggering $370 million, marking one of the largest real estate deals in Miami-Dade history. The properties totaled about 48,000 square feet of land and 75,000 square feet of buildings, for a price that equated to $7,708 per square foot for land and $4,933 per square foot for buildings. Last year, Miami Beach commissioners approved a master plan for the Lincoln Road district. The plan, designed by New York landscape architects James Corner Field Operations, will overhaul Lincoln Road – enlarging sidewalks, adding extensive landscaping and turning some side streets and back alleys into pedestrian walkways that will serve as new retail and restaurant venues.